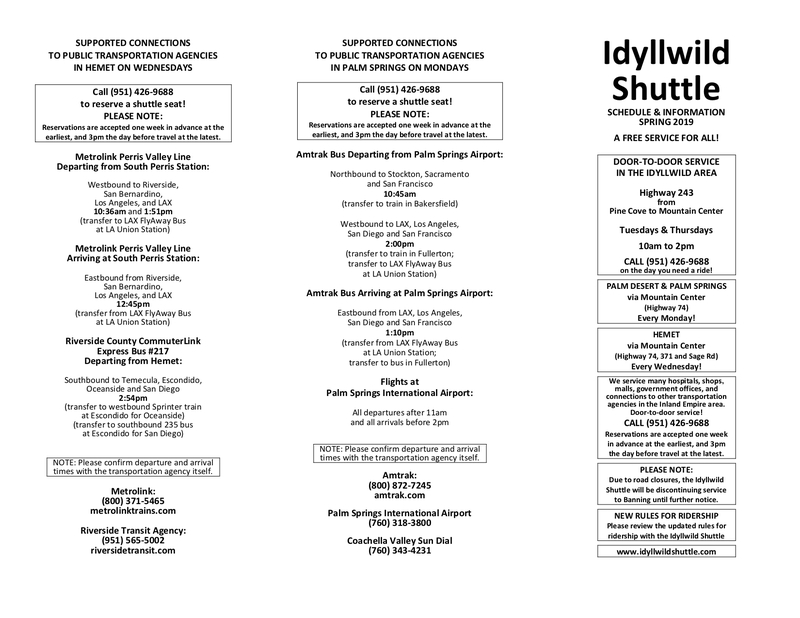 Here is the spring shuttle service schedule, effective April 1 to June 30. 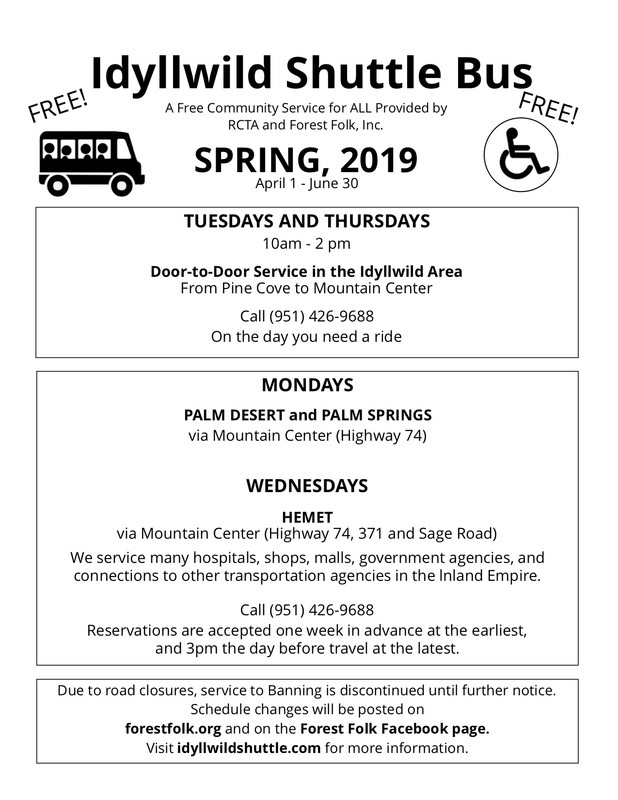 There is also a brochure that has lots of information about connecting with other transportation in the Inland Empire and guidelines for riders. 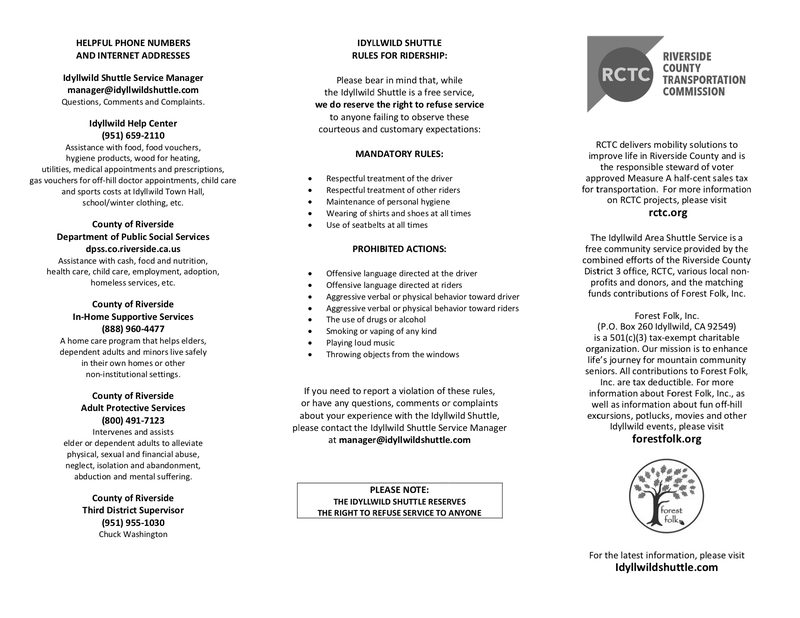 You’ll also find pdf downloads to print out.